Apple really showed their consumers the best of their inventions nowadays. The company had acknowledged a more advanced application for iPhone in security means. This is all about having a facial-recognition which is added on its amazing function that will satisfied the users. Using this facial-recognition system it allows the device to verify and distinguished the official user of the device. In addition to its tech capacity, the new system had made it easier for the users in terms of logging in or out in different sites of the web that they are using. Safer security for the users of the device was made possible through this system. In accordance with this, the device will never make possible to attempted fake owners of a device to know about the calls, messages and important information’s that were stored in the phone. 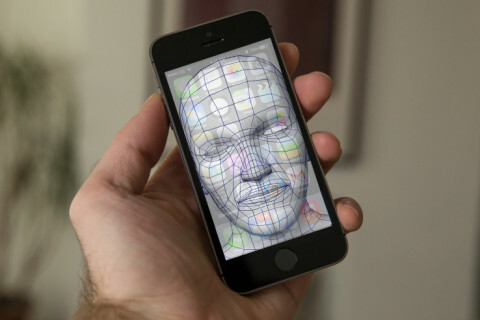 Apple has been granted patent by USPO that describes a system using facial recognition and detection in mobile or desktop computing device. In addition Apple has just acquired PrimeSense, the Israeli firm that helped created the original Microsoft Kinect’s motion sensing capabilities. It only shows that Apple is attempting to link the two.